I love to read. I am fifty now and have read continuously and enthusiastically since I was seven or eight. I love the feel of books, the smell of books and the sight of books. There’s no finer sight than a wall to ceiling bookshelf overflowing with stuff to be read. But,I have to admit, I don’t find books very practical. Books are bulky.While I love to display my books, they take up so much space. 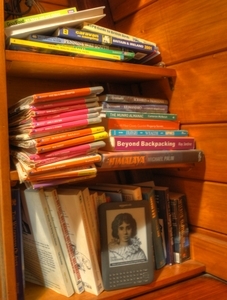 I live on a narrowboat now but in the old days when I had a house, my study/office had two units stuffed with books. Even then, there can’t have been more than two hundred on display. Two hundred books that needed constant dusting. 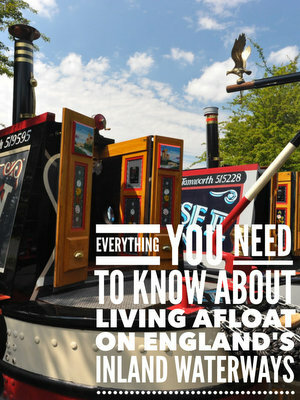 Now that I live full time on a narrowboat I have far less space. I have six shelves that I can dedicate to books. They are all full. I’ve just counted them.Just forty two books. Forty two constantly dusty books as the shelves are sat next to the coal burning stove. I love to read when I’m on holiday too. We go to the same camp site east of Gerona every year. There’s a beautiful beach, a cooling breeze and plenty of sunshine.It’s a great place to relax and to read. Unfortunately, we have to get on a plane to get there. We use Ryanair because of the low flight cost. We definitely don’t use them because of their low baggage cost. They charge a fortune for taking more than the bare necessities. Books are heavy so I can’t take many. I have to rely on the very limited free book exchange at the camp site. I end up reading books that I really don’t like. worsened. The very pleasant and helpful opticians and Specsavers told me not to worry. It’s quite usual in a man (or woman) of my age. So I’m not worried. But I am frustrated. Even with reading glasses I struggle with some books in artificial light. So much so that I won’t buy a book with small font. When I read that the Kindle is Amazon’s best selling product, that it has more five star reviews than anything else they stock, that the latest version can store up to an incredible 3,500 books (imagine trying to store that many on a boat!) and that the font size can be increased for the visually challenged old fellows like myself, I had to try one. My Kindle arrived yesterday. Given that we’re having a very cold spell, it’s four days before Christmas and the UK transport and postal system is in a mess, four days from placing the order to holding it in my hands is amazing. My Kindle arrived yesterday, and I’m very frustrated. I’ve bought the Kindle Wi-Fi for £109 rather than the Kindle Free 3G & Wi-Fi for just £40 more. Why is this so frustrating? I’ll tell you. I live on a boat so I don’t have a wired broadband connection. I have to rely on a (very good) USB dongle from Three. My new Kindle uses its Wi-Fi capability to connect through a wireless enabled broadband connection to the internet and the Amazon store where my Kindle book purchases are stored. I can’t achieve a connection through the dongle which means that I can’t register my Kindle and download the books I’ve bought. It is possible to use the provided USB lead to copy the digital files from my laptop (where’s I’ve installed the Kindle for PC reader) to the kindle. Sadly, until my Kindle is registered to the same Amazon account as the books in my Kindle for PC, I’m not able to read them. Actually, that’s not quite true. There are over one million free books available for the Kindle. Most of them are out of copyright publications. The free publications can be read without registering the Kindle so last night I was able to read “The Life And Most Surprising Adventures Of Robinson Crusoe, Of York, Mariner (1801)” by Daniel Defoe. It was interesting but not quite what I had in mind for my first evening with my Kindle. My friend and fellow moorer Anthony, who lives on his ultra sophisticated narrowboat “Second Sister” about a hundred feet from me, bought a Kindle a few days before I bought mine. He’s more sensible than me so opted for the Kindle with the 3G connection. He hasn’t had any problems. In fact, he took his Kindle out of the box, plugged it in to the charger, and before the battery was fully charged all of the twenty plus books he had ordered were automatically downloaded to his Kindle. So,small disaster aside, what is the Kindle like to use? Here are all the features listed on Amazon for the Kindle Wi-Fi and the Kindle Free 3G & Wi-Fi Click on each feature link to see what I thought. 50% better contrast. The clearest text and sharpest images with latest E Ink Pearl display. Unlike LCD screens, Kindle’s screen reads like real paper, with no glare. Read as easily in bright sunlight as in your living room. At only 241 grams and 8.5 mm thin, Kindle is lighter than a paperback and thinner than a magazine. We doubled Kindle’s storage so you can carry up to 3,500 books. Kindle now has built-in Wi-Fi support. Connect to Wi-Fi hotspots at home or on the road. Quieter page turning means you won’t disturb your partner when you want to read all night. With the biggest selection of any ebook store in the UK, you can shop more than 500,000 books, including bestsellers and new releases. UK and international newspapers, magazines, and blogs, plus more than 1 million free books, are also available. We check hundreds of prices every day to make sure our prices are the lowest of any ebook store in the UK. Compare our book prices–you’ll like what you find. Books you purchase from the Kindle Store are automatically backed up online in your Kindle library on Amazon.co.uk. Re-download books wirelessly for free, anytime. Kindle storage capacity: One of the features that appealed to me is the incredible storage capacity. In digital storage terms, 4GB is not a lot. But you don’t need a huge amount of space for digital books. I haven’t been able to determine the file sizes of the individual books I have downloaded so far because they are stored inside the “My Kindle Content” folder with a nonsensical alpha numeric files name that bears no relation to the title but they range in size from 369KB to 4.85MB. The largest is – I think – a photography book that I foolishly bought for the Kindle (more about that later). The average file size appears to be about 1MB so the claimed 3,500 book storage capacity looks realistic. Three thousand five hundred books is a LOT of reading. I’ve calculated that I’ve averaged one book a week since I started reading regularly when I was seven. That’s 52 books a year for 43 years or 2,236 books. If I carry on reading at that rate (and I had every book that I’ve ever read already on the Kindle), I won’t reach maximum capacity until I’m seventy four. It’s even better than that though. Even if you delete a book from your Kindle that you’ve bought from the Amazon Kindle store, it’s still available on Amazon’s server. In effect you have unlimited storage for all of your books. Seventeen out of the twenty two books listed (77%) are available for the Kindle.Not bad, but these are mainstream book titles. If your main choice of books as of a specialist nature, you need to check in the Kindle store before you consider buying one of Amazon’s readers. The books that weren’t listed are all older publications. In most cases, there were other titles by the same author available for the Kindle. Only one author, Billy Connolly, didn’t have any Kindle content. I wouldn’t have bought Journey To The Edge Of The World by Billy Connolly for the Kindle anyway which brings me to an important point. High Contrast Screen: This is my first experience with none-backlit screens so I was a little aprehensive about the quality of the displayed text. I shouldn’t have worried. It’s fantastic. I have read three books on my Kindle so far. While I haven’t forgotten that I’m using a high tech reading device rather than reading a real book with ink on paper, it’s certainly not an issue. The text is very easy to read (I’ve increased the text size slightly from the default) and one handed “book” holding and page turning is a pleasure. Read in bright sunlight: I love the great outdoors. There’s nothing better than hiking to a spot away from houses and people and their noisy transport, propping myself up against a big old tree, and having a read. Now I can. 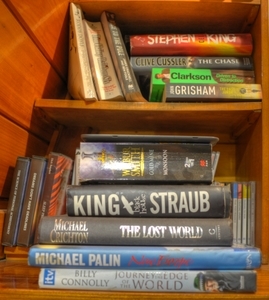 In fact, I can take my whole library with me, and read for as long as I like because the technology really does work. I can read on my Kindle under a tropical sun as easily as I can by a roaring fire on my boat. I love it! Lighter than a paperback: Yes it is. Even with the Kindle Lighted Leather Cover that I bought a few days after I received my Kindle, the combined weight is still less than a reasonable size book. That’s one reasonable size book compared to the Kindle’s 3,500 book capacity. Battery Life of Up to One Month: I’ve had my Kindle for two weeks now, have read three books, have played with all of the settings, used the light on my Kindle cover, used the text to speech facility and still have 50% capacity left on the battery charge icon. I’ve charged the Kindle just once – in fact, I can’t actually remember where the charger is! Built in Wi-Fi: I discussed the Wi-Fi capability earlier in the review so all I’ll say is this; if you’re going to buy a Kindle splash out on the Kindle Free 3G & Wi-Fi rather than the Kindle Wi-Fi The additional £40 gets you a free 3G connection and the ability to purchase and download a book from just about anywhere in the world. If you,like me, opt for the lower cost version, you’ll have to have access to a wireless internet connection to update your library. The image on the right is a screen capture from a photography book displayed in the Kindle For PC reader. The colour isn’t perfect but it’s good enough for me on an electronic reader. The image below is the same image displayed on the kindle. It’s smaller, not as sharp and not in colour. For me, this makes the photography book, and any other books containing photographs, totally unsuitable for the Kindle. Book Prices: I can’t make up my mind about the prices. While the Kindle versions of a paperback are always cheaper, they don’t cost that much less. I understand that the author sets the Kindle prices. Some new authors offer their books for next to nothing in the hope that the low price will increase circulation. Established mainstream authors don’t appear to discount quite as much. On the flip side though, Kindle books are delivered to you almost instantly which is an undeniable bonus when you’ve just finished your last book on holiday abroad. Added to that is the option to download your choice from over 1,000,000 free books if you don’t like Amazon’s prices. Amazon Kindle Book Archive: Any Kindle book purchased from Amazon is stored indefinitely online for you (including your free book downloads). They can be re-downloaded by you whenever you want. This means that your Kindle storage is virtually unlimited. You can remove books from your Kindle to free up storage space but restore them to the Kindle whenever you want. Read To Me: I don’t like this at all. It’s a flat computer generated voice that drove me mad before I finished the first page. The Kindle user manual indicates that you can change the speed of the voice reading the text and switch between male and female. I couldn’t work out how to do it though. Share Meaningful Passages: You can highlight sections of text for your own reference. The section highlights are stored by Amazon and are available to any new readers of the same book. Personally, with a work of fiction, I find other people’s meaningful passages both pointless and irritating. Maybe if I was using a reference book for research I would find the facility useful. Either way, you can turn off the passage highlights if you don’t want them. Kindle Experimental Features: There are currently three features listed on the Kindle menu; read-t0-me, MP3 player and Web Browser. I’ve mentioned read-to-me already. I don’t like it. I don’t like the MP3 player facility either. I’m a man so I can’t multi-task. I can’t concentrate on a book and listen to music at the same time. Not that I want to on the Kindle. There’s no way to choose tracks that you want to play. You have to transfer your music selection via the supplied USB cable to the Kindle so you can choose what music you add to your reading device, but you can’t choose how it’s played. You press a button to turn the music on and the Kindle decides what it plays. Not that I could hear anything anyway. The built in speakers are on the rear of the Kindle so with my Kindle cover attached I couldn’t hear the music anyway. I can’t comment on the web browser because my Kindle doesn’t have 3G or, because of my internet connection on the boat, the ability to connect to the internet at all unless I’m in the marina office. I honestly don’t know how I survived without a Kindle. I’ve had it three weeks now. I use it for at least an hour every day (and I still haven’t had to charge the battery). Of course I use it to read for pleasure, but I’ve also started to use it for reference. I have several recipe books on it which are very handy to refer to when I’m cooking. Unlike a traditional recipe book I don’t lose my place as soon as I let it go. The reading experience is pleasant, page turning is intuitive, storage is virtually unlimited and, with the addition of the Kindle Lighted Leather Cove, I can read absolutely anywhere regardless of the light available. The only problem I have with it is the wireless connectivity. It’s entirely my own fault.I bought a Kindle Wi-Fi If I had splashed out an extra £40 on the Kindle Free 3G & Wi-Fi I’d have instant connectivity to the Kindle book store wherever I go. Still, I’m a very happy bunny!